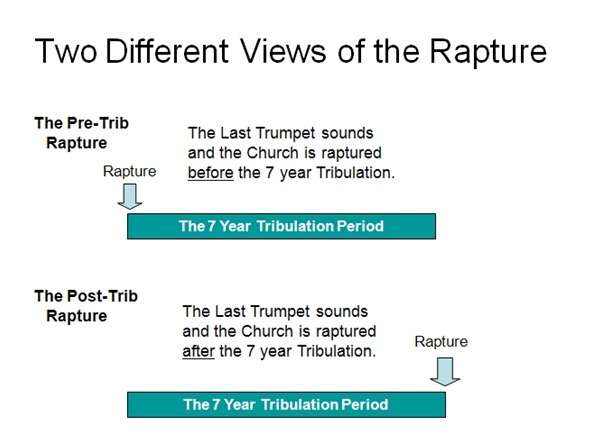 One view of the Rapture says that the Church will be taken up BEFORE the AntiChrist and the Great Tribulation period take place on earth. Another view says that the Church will see the AntiChrist, and go through the Great Tribulation; the Church will be taken up AFTER the Tribulation. What exactly did the early ‘Church Fathers’ believe? Let's start with Irenaeus. The Apostle John, who saw the Revelation, personally discipled Polycarp, and Polycarp personally discipled Irenaeus. Hyppolytus taught that the Church would go through the Great Tribulation (the final 3 1/2 years of the Tribulation) and suffer persecution at the hands of the AntiChrist, the Adversary! That the Church should go through the Tribulation, and be Raptured AT the Revelation is not a ‘latter day doctrine of devils’ (I Tim. 4:1); it is a very early teaching. 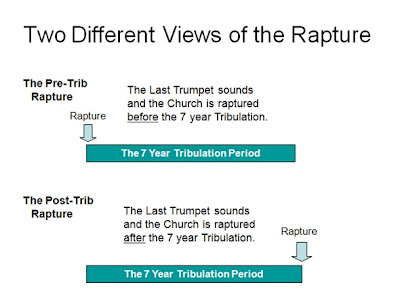 However, there is NO record of an early ‘Church Father’ believing in a pre-trib Rapture. Now that's something to think about!